The key to a successful business is change, evolving and adjusting to the needs of our clients and community. We officially closed the doors to our 5th Ave S studio this summer. It was a bittersweet moment for me, one that I chose to keep off of social media. I have not announced this news publicly until now. My goal is to teach more group yoga classes through Lean and Green Body®. 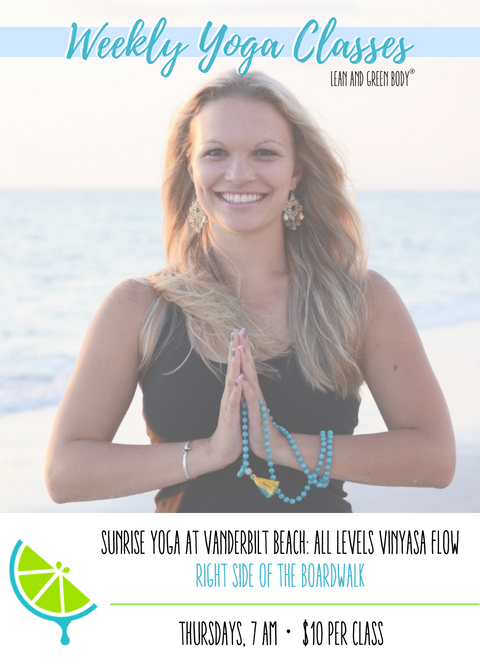 To offer my yoga teachings as a gift to my community, for rates that are accessible to all. 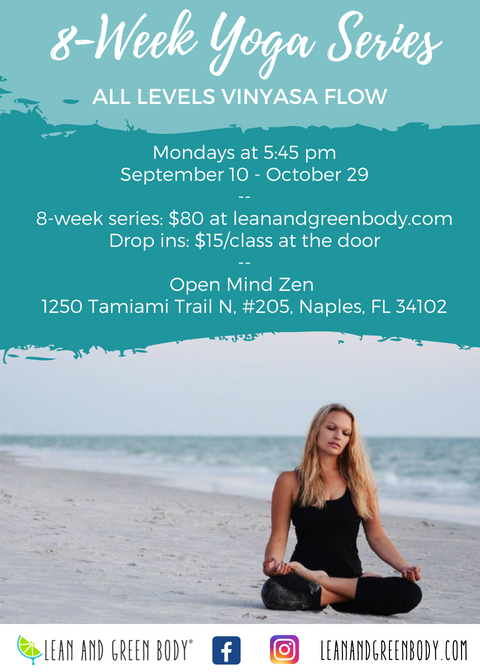 I have already begun offering weekly yoga classes throughout Collier County, for a full list of classes visit our schedule. We also have a full list of events and workshops through December 2018 on The website. We have several big and exciting changes coming and I can not wait to share them all with you in much more detail!